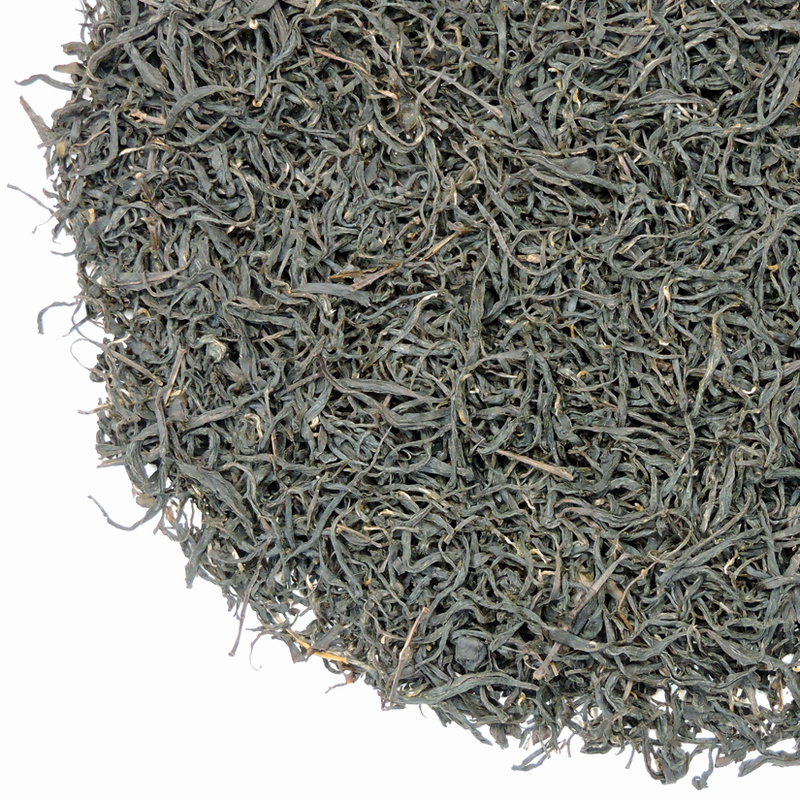 This is one of our favorite Chinese black teas and a real staple selection in our home tea cabinet. We are very excited to have it again this year. 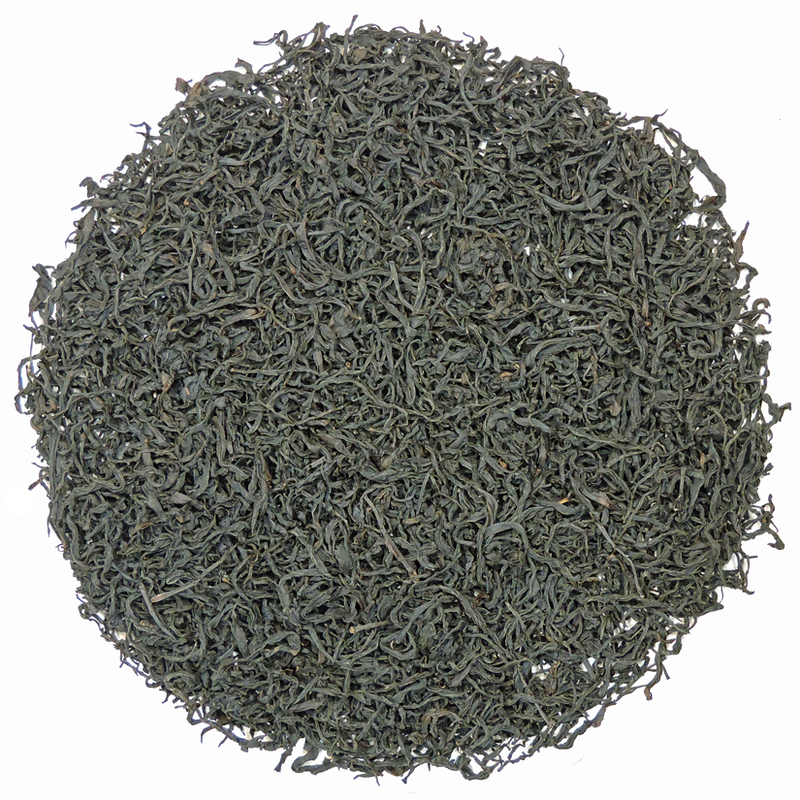 As with many big, leafy black teas from China, conventional wisdom says that this type of tea should not be drunk when very fresh, because the flavors have not had a chance to meld. So it is that this still-youthful but no longer too-fresh tea is drinking well now, and should continue to drink well for many months (and years if stored carefully). We are still enjoying a parcel of this tea that we brought back with us from an early trip to Guangdong Province in the late 2000’s. So you need not hurry to drink this tea up, but you will probably also have a hard time putting any away for ageing, either, as it is so good to drink now and in the near future! Ying de #9 is a modern tea cultivar developed in Guangdong Province in the 1950’s. This fresh leaf is manufactured into leaf tea from the Ying Hong #9 cultivar, which was originally the result of propagating the local Guangdong Da Ye tea bush with the sturdy Yunnan big leaf tea bush cultivar, Camellia sinensis assamica. Both of these cultivars are also used in the manufacture of Pu-erh, another Chinese tea specialty that demands complexity, richness and the ability to store well and improve with age. Ying de #9 is a gorgeous, long leaf black tea with a generous amount of tip (non-contrasting) that rivals some of our Yunnan teas in appearance, style and style. 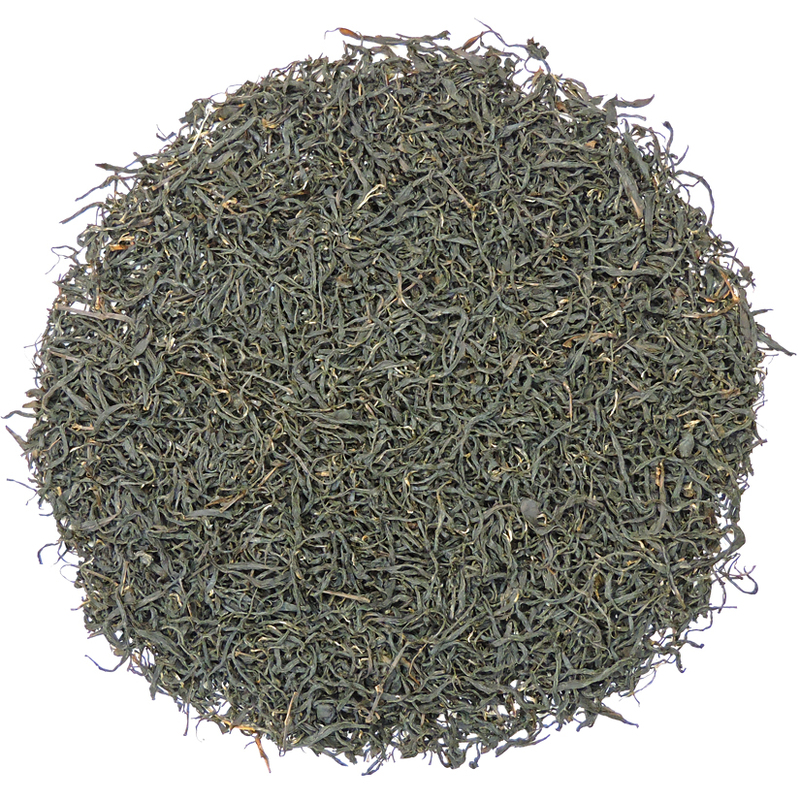 Good ‘breeding’ = good tasting tea; and this tea is no exception; it actually proves the rule! During the 19th century some black tea was made in Guangdong Province for export to the West, but today little of these now-small production, local teas can be found outside of that region in China. Production of Ying De #9 has given tea lovers a lovely, slightly fruity, non-astringent tea with a ramped-up “goodness factor” that stands heads-over those old-style black teas. Ying de #9 is still limited in production and we are thrilled to have it again this year. And, there is double happiness in the news that the price remains the same as it has been for several years. This is a superb tea for drinking neat (plain) and for those who are looking for teas that are smooth and non-astringent. As with many Chinese black teas, the flavor profile is sweet and non-astringent, and Ying De #9 produces good flavor over several steepings. 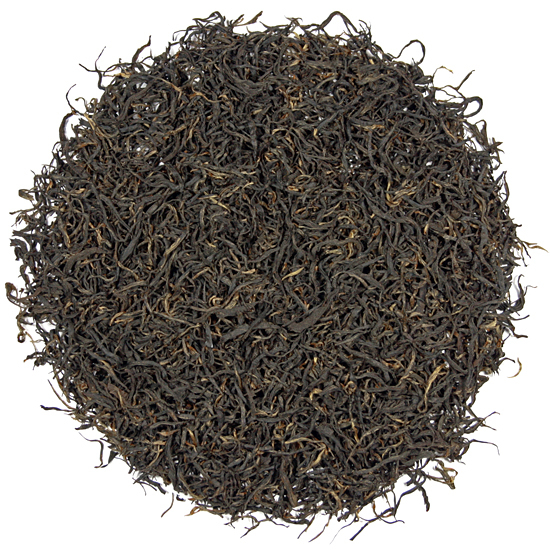 If you are a fan of the Golden Monkey Tippy, Fenghuang Dan Cong Black, the caramel-y Yunnans such as the Yunnan Imperial Dian Hong and the Jingdong Wuliang Golden Threads, you should give this tea a try. Also, enthusiasts who enjoy the Wuyi Shan and Fenghuang Shan oolong teas will find this leaf to be compatible with the flavor profiles that are common to those more lightly-oxidized teas, and that are so intoxicatingly delicious. We cannot guarantee how long the batch we have just received will be in inventory (last year we sold out early) so don’t wait to order this lovely tea. Drink this tea now, or do as we intend to do and age a portion of it for a few years to mature the flavor and allow it to develop even more richness and complexity.